We are reading all three volumes of philosopher Peter Sloterdijk’s Spheres trilogy: Bubbles, Globes, and Foam. The live-recorded conversations for Bubbles took place between April and August, 2017. However, the conversation continues in our forum. We also welcome creative submissions in response to your own reading. If I had to place a sign of my own at the entrance to this trilogy, it would be this: let no one enter who is unwilling to praise transference and to refute loneliness. An epic project in both size and purview, Peter Sloterdijk’s three-volume, 2,500-page Spheres is the late-twentieth-century bookend to Heidegger’s Being and Time. Rejecting the century’s predominant philosophical focus on temporality, Sloterdijk, a self-described “student of the air,” reinterprets the history of Western metaphysics as an inherently spatial and immunological project, from the discovery of self (bubble) to the exploration of world (globe) to the poetics of plurality (foam). Exploring macro- and micro-space from the Greek agora to the contemporary urban apartment, Sloterdijk is able to synthesize, with immense erudition, the spatial theories of Aristotle, René Descartes, Gaston Bachelard, Walter Benjamin, and Georges Bataille into a morphology of shared, or multipolar, dwelling–identifying the question of being as one bound up with the aerial technology of architectonics and anthropogenesis. 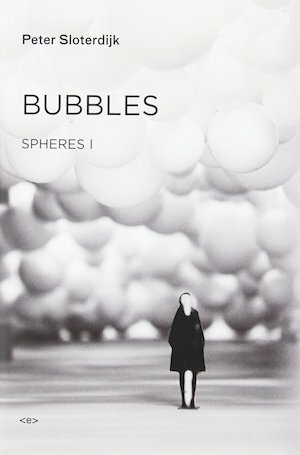 Sloterdijk describes Bubbles, the first volume of Spheres, as a general theory of the structures that allow couplings–or as the book’s original intended subtitle put it, an “archeology of the intimate.” Bubbles includes a wide array of images, not to illustrate Sloterdijk’s discourse, but to offer a spatial and visual “parallel narrative” to his exploration of bubbles. 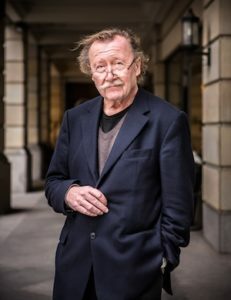 Peter Sloterdijk (b. 1947) is one of the best known and widely read German intellectuals writing today. His 1983 publication of Critique of Cynical Reason (published in English in 1988) became the best-selling German book of philosophy since World War II. He became president of the State Academy of Design at the Center for Art and Media in Karlsruhe in 2001. He has been cohost of a discussion program, Der Philosophische Quartett (Philosophical Quartet) on German television since 2002.